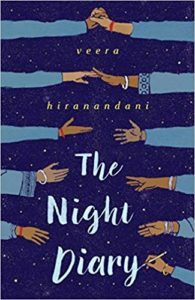 I had been hearing about Veera Hiranandani’s middle grade novel The Night Diary for a while. It had been impossible to get hold of in India when lo and behold, PRH India announced it was releasing the Indian edition of the book. Fantastic news! I read an advance copy and loved the novel. There is such little literature available for children explaining the freedom movement through fiction, allowing for dramatisation of events without making it too hard to understand. Of late the desi writers based abroad who have begun to feel the crying need for the lack of such literature and presumably been told stories about the Indian freedom struggle have begun to write novels for the younger generations. Three writers, who happen to be women and are based in USA, have written middle grade fiction. Chitra Bannerji Divakurni, Supriya Kelkar and Veera Hiranandani. After reading The Night Diary, I emailed Veera Hiranandani. Here is a lightly edited version of her interview. Veera Hiranandani is the author of The Night Diary, which was featured on NPR’s Weekend Edition and is a New York Times Editor’s Choice Pick, The Whole Story of Half a Girl (Yearling), which was named a Sydney Taylor Notable Book and a South Asian Book Award Finalist, and the chapter book series, Phoebe G. Green (Grosset & Dunlap). She earned her MFA in fiction writing at Sarah Lawrence College. 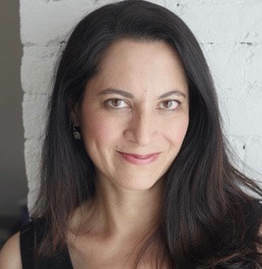 A former book editor at Simon & Schuster, she now teaches creative writing at Sarah Lawrence College’s Writing Institute and is working on her next novel. She adds “I was raised in a small town in Connecticut. Growing up wasn’t always easy. My mother is Jewish-American, my father is from a Hindu family in India, and I didn’t know any kids like me where I lived. But coming from two cultures and not always fitting in has probably made me a stronger person. I was also pretty shy, so I spent a lot of time quietly watching other people. What inspired you to write The Night Diary? My own father was nine when he had to leave his home during the Partition. I heard him and my aunts and uncles tell the story as I was growing up–that several weeks after India’s Independence, my father, his four brothers and sisters, and his mother decided to leave Pakistan and made it over the new border by train. My grandfather had to stay behind. He was a doctor in the Mirpur Khas city hospital and they didn’t want him to leave until they found a replacement, but a few weeks after, he decided to leave anyway because he was worried about his family. They lost their home, their community, but they made it safely. As we know, many people did not. When I got older, I became more curious, did more research, and wondered why I never learned much about the Partition in school in the US, such a significant event in our global history. When I became a writer, I knew I wanted to shape a story around this time, but it took me a while before I felt confident enough to do so. Having lived in USA all your life, how did your family keep the memories of the freedom movement and Independence alive? I think it was only through my father’s family that I learned about India’s independence and the Partition. Occasionally we would talk about the history surrounding this time if my cousins and I asked questions. But if I hadn’t been curious or interested on my own, these stories might have faded away. There was a desire to leave the difficult times in the past and focus on the future. I think that’s common for many families. But if that happens, then we will forget and not have the opportunity to learn from the mistakes that were made and honor those who were lost. Survivors of the Partition are in their last decades of life and I believe it’s up to my generation to preserve this history and pass the stories down to younger generations in whatever ways we can. What are the stories you accessed for writing this book? I listened to my father and other relatives. I also read many historical accounts and novels. I read collections of oral testimonies and listened to several online. There’s a wonderful website preserving these oral histories called The Partition Archive of 1947. They have a wide variety of oral testimonies from people who lived in many parts of India before independence. Some had to leave, some stayed, some crossed into Pakistan, some crossed over the new border of India. There are stories mostly from Hindus, Muslims, and Sikhs. I tried to listen to as many point of views as I could. I wanted to create a story that wasn’t based particularly on one story, but could explore the many questions I had about the Partition and be representative of many experiences. Was there much literature to read? If so in which language ? Or did you rely mostly on oral narratives? I relied on books in English (I only speak English), but I wanted to read historical analyzations or novels of the Partition by those who had South Asian origins and had more than just an intellectual interest in the history. I didn’t really find much out there for young readers, but some of the books that helped me were The Great Partition by Yasmin Khan, Train to Pakistan by Khushwant Singh, The Other Side of Silence by Urvashi Butalia, Cracking India by Bapsi Sidhwa, Midnight’s Children by Salman Rushdie, and Midnight’s Furies by Nisid Hajari. What are the back stories for this novel that you left out but undeniably built upon to tell the wonderful story of The Night Diary? I knew I wasn’t trying to recreate the exact story that my father’s family went through. It wasn’t representative enough of more experiences and I was writing fiction. I began with the idea of family traveling in the direction a Hindu family would be traveling, because that’s what my father did, but I wanted to take a wider view. I decided the main character, Nisha, would come from an interfaith marriage (her father is Hindu and her mother was Muslim). I wanted her to be able to ask the questions I had about the Partition—why did diverse communities who lived peacefully before the Partition, break apart so quickly? Where did the violence and hate come from? I thought those questions would be quite powerful coming from the perspective of a character who feels ties to both her Hindu and Muslim identities. I’m also a product of an interfaith marriage. My father is Hindu and my mother is Jewish, so though it’s an entirely different context and a religion, I connected to the idea of having to navigate multiple identities. There were a lot of influences from details of my father’s story, but I was often shaping them in different ways for the story I wanted to tell. To tell a story about a conflict and subsequent displacement is never an easy task. It is traumatic. Yet how did you manage to create such a simple and lucid while retaining the sensitivity and pain? Did this story go through many drafts? Thank you and yes, it went through at least ten full drafts, and many smaller ones. It wasn’t an easy task. I hoped to stay truthful to the history, but also explore the questions I had and create as many connections as I could to survivor experiences. I knew there was no way I could write a book about the Partition and not include some of the violence, but I really wanted the younger generation to have access to it. I tried to strike a balance of what a young reader could handle and what actually happened. I think writing a diary from a young person’s point of view helped me render it in a more innocent and direct way. That’s how I felt Nisha would process and write about her experiences. The diary format at times was restrictive, but also helped me keep it in Nisha’s voice. I also thought it would be appealing and accessible for both young and older readers. Was it a challenge to find publishers for The Night Diary? I was lucky enough to have some nice interest in the story and talk to a few editors about the project. I think people not only found the historical knowledge valuable, but the connections to current events as well–the global refugee crisis, and the discrimination against people of color and xenophobia felt in the US today. I ultimately was able to go with the editor, Namrata Tripathi, at Penguin who I felt was not only an experienced, extremely insightful, and detail oriented editor, but who also had an Indian background and family ties to the Partition. To have an editor who would be able to access this story on both an editorial level and a personal one only helped with the authenticity I was trying to achieve. It truly was a gift. What was the editorial process like for The Night Diary? For instance did you have to explain much about the context to your editors or did the movement of #weneeddiversebooks ease the publishing process? Because I was working with someone who knew a significant amount about the context and the culture I was writing about, I didn’t have to explain a lot. Therefore, we mostly focused on the strength of the story and she added to my knowledge at times. But we still had beta readers to help fill in our knowledge gaps. Penguin has been very behind this book from the beginning, but I think organizations like #weneeddiversebooks are hugely important and have paved the way for publishers and readers to understand the necessity and benefits of diversity on a global level. Why did you feel it necessary to include a glossary of terms in The Night Diary? Publishing the book first in the US, after having many non-Indian American readers read the book, I found that many people did not know several of the South Asian terms I was using. I wanted young readers unfamilar with some terms have a resource right in the book. Now that the book is published in India, the glossary must seem irrelevant or readers might be able to improve the definitions! What has been the response of audiences in USA to your book? What has been the response of the Indian diaspora to your book? I’ve had many positive responses and it’s very moving to me. When I decided to write this book, I wondered how much interest it would have, but I knew I needed to write it so I kept at it. I’ve had South Asian American adults express excitement at being able to share this story with their children because they also had parents who were affected by the Partition and now have a context to talk about it. I’ve had South Asian American kids tell me that they’re excited to see Indian/brown characters characters in a book given to them in school because they’ve that experience so rarely. I did a school visit with a large South Asian population and kids were literally cheering as I mentioned some of Nisha’s favorite foods in the book (especially for the sweets). I remember what it was like to feel that I was the only one who knew what dal, kaju katli, or gulab jamun was and I would never expect to see it mentioned in a book, so I understood their excitement. It has definitely opened doors for some people and I couldn’t be happier about that! It seems to be getting a positive response in India as well, and that is truly humbling and gratifying.